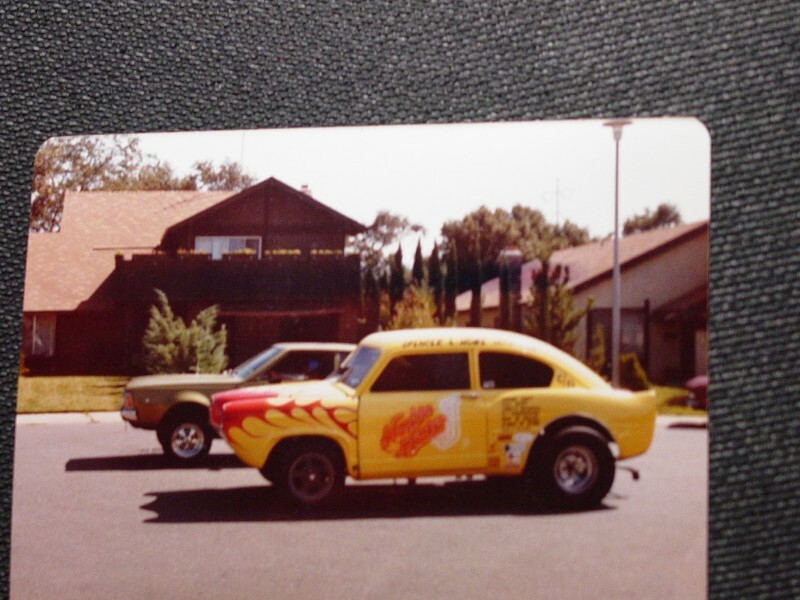 I am searching for any info on my old race car Honk'en Henry J. I live near Sacramento,CA and I ran it at Sac raceway in the late 70's to early 80's. any info would help. Story of my H.J. The old Gasser was first built in the late 70's.The unknown builder put up a parting out race car add on the bulliton board at Tognotties auto world here in Sacramento,CA .At that time I was in seaching for B.B Hipo parts for my 70 Roadrunner. He had A 392 Hemi Alky injected, from the Henry-J. Great Price $900.00, So I thought-Rod thru the side,Trashed Fuel Injection Set-up. Any way I was the first to responed to the add and before the H-J was parted-out I scored it for $1000.00. With the help from my Friend-Teacher-neighbor- Willie Alley -Mopar Master- Builder of a 68 Max-Wedge Cuda in the 70's named the !Carolina Cuda! God rest his sole, we were in the middle of building a 426-Max-Wedge for the Roadrunner. We ran the 10 seconed car at Sac Raceway in the early 80's.Time for me to go into the Army. Pulled the B.B, put in A strocker Small Block Chevy-Never ran it. Sold the Honk,en Henry-J. That was the last time I ever saw my Car. I think my Henry J is the same one as described by Ray Walker. I bought the body in about 1990 through the Sacramento Bee in Sacramento, CA. After I sanded through a coat of yellow paint were the words "Honk'en HenryJ". 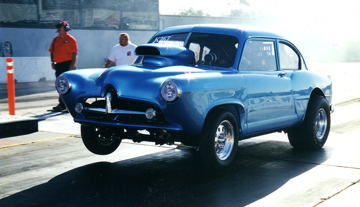 I rebuilt it and drag raced in California. Now we reside in Durand, Illinois.